Based in Germany and owned by Coty, Joop! 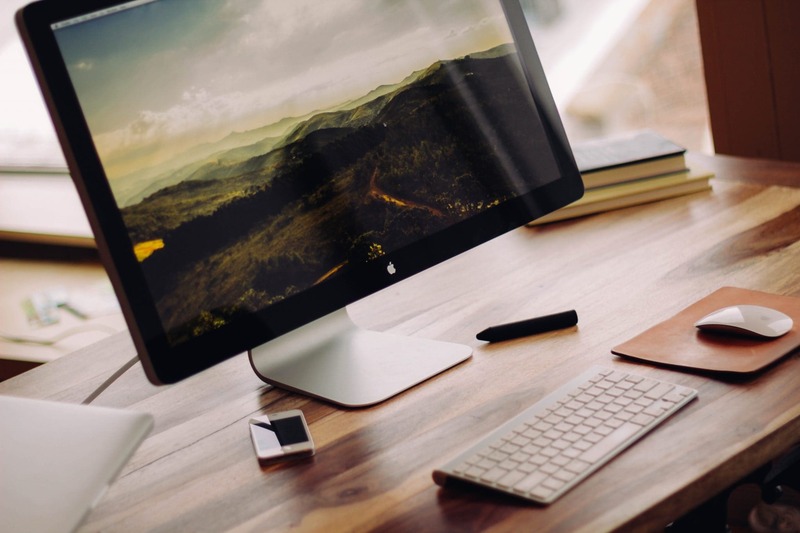 (pronounced “yope”) was founded by Wolfgang Joop in 1978. The fashion house specializes in clothing and cosmetics, and the brand is known for its wide array of fragrances. JOOP! launched its first fragrance for women, JOOP! Femme, in 1987, and Joop cologne started two years later, with the launch of JOOP! Homme. In 2001, Wolfgang Joop left the company. However, the brand survived his departure, and continues to create fragrances. Joop! ﻿Homme, the brand’s original fragrance for men, is still popular today. This isn’t a scent for a tame guy who’s trying to stay under the radar, though. Joop! Homme pushes the envelope and delivers a sweet cologne that demands attention. This sensual, oriental fragrance opens with notes of fresh citrus, including mandarin, lemon, bergamot, and orange blossom. The heart turns floral, adding a warm and balmy air to the scent with jasmine, lily of the valley, heliotrope and cinnamon. The base contains sweet and woodsy notes, including vanilla, Tonka bean, patchouli, and sandalwood. The fragrance remains sweet all the way through the dry down, but the base provides a much warmer finish through scents of wood and spice. Joop Homme! wears best for nights out on the town during the winter and fall. The scent lasts all day with one or two sprays. This is a polarizing fragrance: you either love it or find its sweetness way too over-the-top. If you’re looking for a cologne to wear to the club or you’re a fan of sweet fragrances, it’s a must-try. 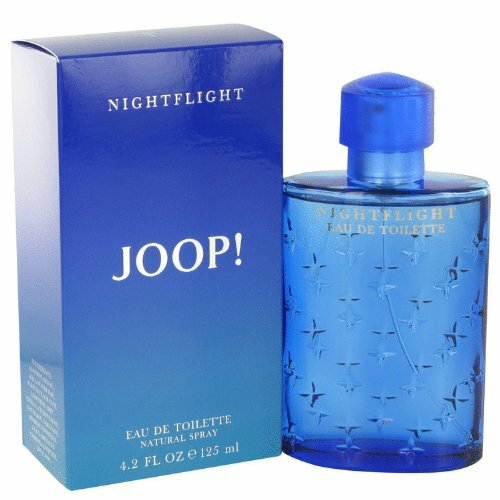 Nightflight was the second fragrance released by the house of Joop! 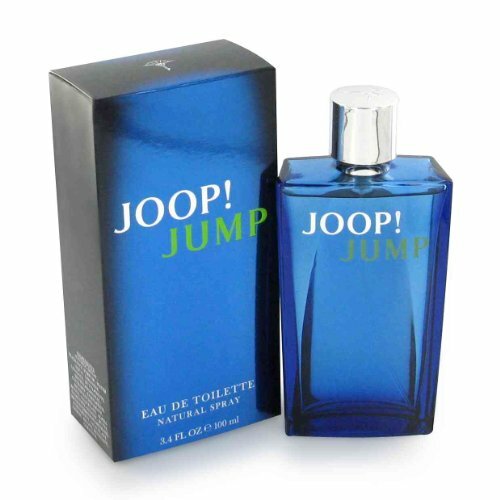 It added an aquatic, fresh, clean fragrance that complemented the sweet, oriental scent of Joop! Homme. Nightflight is a masculine, aquatic scent that’s great for wearing in hot and humid weather. It’s versatile enough that you can use it for both casual and formal occasions. Hints of clean linen and florals give it a fresh scent, but Nightflight still retains a vintage, old-fashioned vibe. The dark blue bottle with stars checkered on it perfectly captures the dreaminess of this fragrance. It’s got great projection and longevity, projecting off the skin for 4-5 hours and lasting for a full 8-10 hours. Top notes include pineapple, lavender, green notes, juniper, bergamot, and lemon. The middle reveals notes of almond, jasmine, lily of the valley, rose, Brazilian rosewood, and geranium. The base provides a strong, masculine foundation for the scent, with notes of sandalwood, Tonka bean, amber, and musk. Jump strikes a balance between freshness and sweetness. It’s a great choice if you find the original Joop! Homme a bit overbearing, but still enjoy a sweet fragrance. At first, it gives off a subtle, light, almost vanilla-like aroma. As it dries down, it becomes spicier and smokier. It’s a versatile scent that can be worn all year-round for either casual or formal occasions. To love this fragrance, you need to appreciate its sweetness and longevity. Joop! describes Jump as an aromatic fougere fragrance. Top notes are rosemary, caraway, and grapefruit, which give way to middle notes of coriander and heliotrope. Base notes include Tonka bean, musk, and vetiver. Joop Wild cologne is for rebellious men who know how to have a good time. It’s got the sweetness that defines Joop cologne, but has a dark, rum-scented kick to it that makes it sensual and masculine. The scent is unique, yet very pleasing. As with the other Joop! products, you can expect great longevity, with a few sprays lasting you throughout the day. It’s best worn for nights out in the cold, winter months. In the notes, it’s all about contrasts. Joop! Homme Wild opens with sparkling pink pepper that opens to a heart of dark rum. The base of woodsy tones and blonde tobacco gives the scent a feeling of warmth. As the name suggests, Joop! 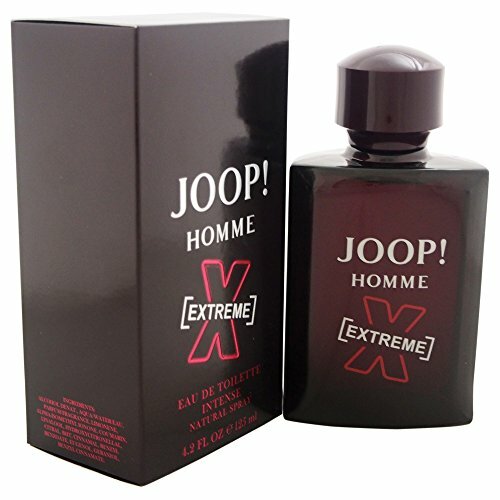 Homme Extreme is the most extreme of any Joop cologne. It opens with the same sweetness, and is only slightly less sweet than the original. Scents of leather and warm spiciness dominate Joop! Homme Extreme. This is the most synthetic-smelling of the Joop! fragrances. While I love the boldness of some of the other Joop! fragrances, like Homme and Homme Wild. However, Homme Extreme takes that boldness a bit too far. Once the initial sweet cacao wears off, it gives way to a blend of leather and spices that I didn't personally enjoy. In terms of notes for this one, at the top, it’s got cacao, which gives way to a heart of leather, and finally a base of patchouli. All the Joop! mens colognes have a trademark sweetness to them. In general, I think these are a good fit for younger men who would like the sweetness — I generally don't love sweeter perfumes but these are well-balanced. I'd say of the 5, the only one I can't recommend is Extreme which just smelled too synthetic. Otherwise, quality scents at a good price point. Most have notable longevity as well. For someone doing a blind-buy or first getting into cologne, I'd recommend Jump as it's really versatile and you could wear it on most occasions. Remains sweet all the way to the dry-down. Good for clubbing. Love the versatility — good for most occasions. A warm winter cologne with a lot of contrasts. A bit too synthetic for my taste.